•	Arrive at Sabiha Gokcen International Airport and meet our local representative at the pick-up point.Get a hassle-free transfer to your booked hotel in Istanbul and complete the check-in process. •	Have a comfortable stay at your accommodation - and take some time out to wander around the city to admire its beauty and soak in its culture. •	After Half Day Bosphrorus Cruise Tour Guests of this half-day tour can choose the morning or afternoon option, and will be picked up from their hotel at the selected time. We will first visit the Spice Bazaar, one of the city?s most colorful and bustling attractions, which has been in operation since the 17th century and still remains a very popular attraction for locals and visitors alike. The tour guide will give us tips on the best stalls and kiosks to visit so we do not become overwhelmed by the busy market, where we will have roughly 45 minutes of free time to explore and shop. 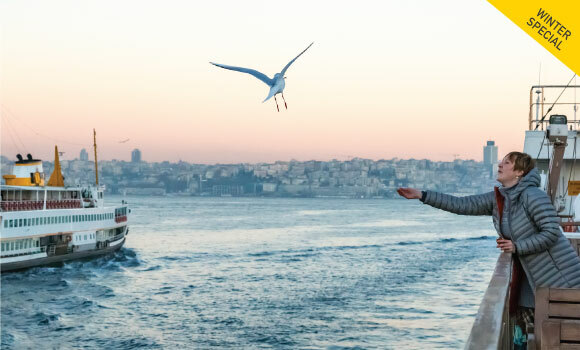 Next, we will head to the shores of the Bosphorus Strait for a cruise, learning about this important, strategic waterway that straddles the Asian and European continents. 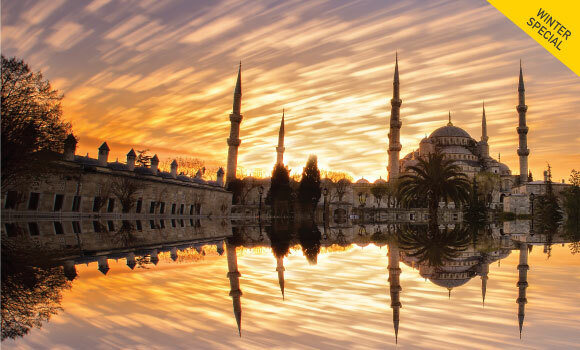 On our voyage, we will see an impressive showcase of many historic Istanbul buildings: the decadent façade of Dolmabahce Palace; 15th-century fortress Rumelihisari; the Beylerbeyi Palace, the summer home of Ottoman sultans; and many more. After admiring these sights, we will disembark onshore, and guests will be returned to their hotels. •	Enjoy a scrumptious breakfast and savour the local delicacies. •	Enjoy a comfortable overnight stay. •	Enjoy a tasty breakfast and complete the hotel check-out. •	Get a comfortable transfer from your hotel to Sabiha Gokcen International Airport in a private Big Sedan.Board your return flight from Sabiha Gokcen International Airport and cherish fond memories of your trip.